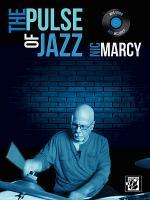 The Pulse of Jazz by Nic Marcy. For Drumset. Book; Method/Instruction; Percussion - Drum Set Method or Collection; Technique Musicianship. Jazz. Early Intermediate; Late Elementary. 72 pages. Published by Alfred Music (AP.42349). ISBN 1470610353. Jazz. With The Pulse of Jazz, drummer/educator Nic Marcy provides a complete method for building a jazz timekeeping vocabulary. Building on other classic jazz methods, the book provides exercises based around common timekeeping approaches from simple to very advanced (called “time lines”), and provides exercises to develop independence and comping facility with each approach. In this way, the book covers topics such as jazz shuffle ideas, Elvin Jones and Tony Williams concepts, displacement, polyrhythmic comping, comping in 3/4, three-and four-way interdependence exercises, metric modulation and more. The included disc contains 21 MP3 tracks (including play-along songs) and 34 QuickTime videos totaling over 20 minutes of running time. 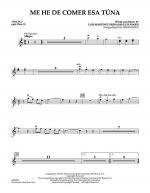 Low Down Dirty Dog Blues (Score) by Jim Cifelli. For jazz ensemble. Grade 2. Score only. Duration 2 minutes, 35 seconds. Published by Neil A. Kjos Music Company (KJ.JZB424F). ISBN 0-84027-04283-0. No nonsense here! Get the band down and dirty with this driving blues shuffle. A terrific chart for teaching swing phrasing and articulation. Low Down Dirty Dog Blues (Full Set) by Jim Cifelli. For jazz ensemble. Grade 2. Score and set of parts. Duration 2 minutes, 35 seconds. Published by Neil A. Kjos Music Company (KJ.JZB424). ISBN 0-84027-04281-6. No nonsense here! Get the band down and dirty with this driving blues shuffle. A terrific chart for teaching swing phrasing and articulation. Hazel Takes a Stroll (Score) by Dean Sorenson. For flexible jazz ensemble (4 flexible parts and rhythm). Grade 1. Score only. Duration 2 minutes. Published by Neil A. Kjos Music Company (KJ.ZB428F). ISBN 0-84027-04293-9. Hazel Takes a Stroll with a bossa groove at a moderate tempo that puts everyone at ease. A perfect introdcution to the bossa nova style. Hazel Takes a Stroll (Full Set) by Dean Sorenson. 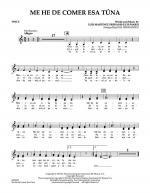 For flexible jazz ensemble (4 flexible parts and rhythm). Grade 1. Score and set of parts. Duration 2 minutes. Published by Neil A. Kjos Music Company (KJ.ZB428). ISBN 0-84027-04291-5. Hazel Takes a Stroll with a bossa groove at a moderate tempo that puts everyone at ease. A perfect introdcution to the bossa nova style. Pepperoni Blues (Score) by Dean Sorenson. For flexible jazz ensemble (4 flexible parts and rhythm). Grade 1. Score only. Duration 2 minutes, 20 seconds. Published by Neil A. Kjos Music Company (KJ.ZB429F). ISBN 0-84027-04296-0. Learning the blues never tasted so good! Pepperoni Blues is a classic swing chart that is sure to have everyone asking for seconds. Pepperoni Blues (Full Set) by Dean Sorenson. For flexible jazz ensemble (4 flexible parts and rhythm). Grade 1. Score and set of parts. Duration 2 minutes, 20 seconds. Published by Neil A. Kjos Music Company (KJ.ZB429). ISBN 0-84027-04295-3. Learning the blues never tasted so good! Pepperoni Blues is a classic swing chart that is sure to have everyone asking for seconds. Grabbin' Some Air (Score) by Dean Sorenson. For flexible jazz ensemble (4 flexible parts and rhythm). Grade 2. Score only. Duration 2 minutes, 10 seconds. Published by Neil A. Kjos Music Company (KJ.ZB432F). ISBN 0-84027-04323-5. Get your program off the ground! Grabbin' Some Air is an exciting funk tune with catchy melodies and punchy figures that recall the great horn bands. Grabbin' Some Air (Full Set) by Dean Sorenson. For flexible jazz ensemble (4 flexible parts and rhythm). Grade 2. Score and set of parts. Duration 2 minutes, 10 seconds. Published by Neil A. Kjos Music Company (KJ.ZB432). ISBN 0-84027-04301-1. Get your program off the ground! Grabbin' Some Air is an exciting funk tune with catchy melodies and punchy figures that recall the great horn bands. Flat Tire Shuffle (Score) by Dean Sorenson. 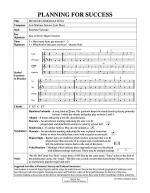 For flexible jazz ensemble (4 flexible parts and rhythm). Grade 1. Score only. Duration 2 minutes, 20 seconds. Published by Neil A. Kjos Music Company (KJ.ZB431F). 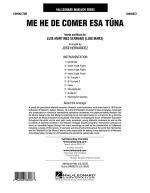 ISBN 0-84027-04300-4. Lots of unisons and moderate ranges make Flat Tire Shuffle a perfect introduction to swing style. Idiomatic rhythms and clean rhythm section writing will make this one easy for your young jazz band. Flat Tire Shuffle (Full Set) by Dean Sorenson. For flexible jazz ensemble (4 flexible parts and rhythm). Grade 1. Score and set of parts. Duration 2 minutes, 20 seconds. Published by Neil A. Kjos Music Company (KJ.ZB431). ISBN 0-84027-04299-1. Lots of unisons and moderate ranges make Flat Tire Shuffle a perfect introduction to swing style. Idiomatic rhythms and clean rhythm section writing will make this one easy for your young jazz band. 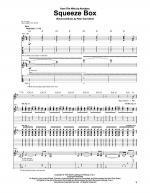 Squeeze on the Knees (Score) by Dean Sorenson. For flexible jazz ensemble (4 flexible parts and rhythm). FlexJazz Series. Grade 1. Score only. Duration 2 minutes. Published by Neil A. Kjos Music Company (KJ.ZB430F). ISBN 0-84027-04298-4. Let your band rock on with with this driving rock chart. This one roars from the very first bar. Squeeze on the Knees (Full Set) by Dean Sorenson. For flexible jazz ensemble (4 flexible parts and rhythm). FlexJazz Series. Grade 1. Score and set of parts. Duration 2 minutes. Published by Neil A. Kjos Music Company (KJ.ZB430). ISBN 0-84027-04197-7. Let your band rock on with with this driving rock chart. This one roars from the very first bar. Jazzin' The Cotton Town Blues - Flute Quartet by Harry Olsen. Arranged by Cecilia Royer-Cardona. Quartet. For flute quartet. Classical, Jazz, Blues. Grade 2. Score and Set of Parts. 5 pages (score); 4 pages (parts). Published by FLEX Editions (FL.FX072798). An arrangement of a classic jazz piece for 3 flutists from the 3rd year of practice and one flutist from the first year of practice.